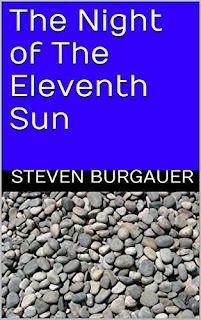 This book — The Night of the Eleventh Sun — is what I would call speculative science fiction. I wondered to myself what actually happened some 40,000 years ago when the last of the Neanderthals met the first humans as early man spread west into Iberia. Thus was born this very well researched, but entirely fictional book. This book is Underground Reviews certified and I am a Good Reads Author. The book is available to you in Kindle form or pdf or hardcopy, at your choice.